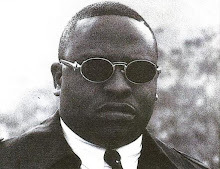 Big 50 is a rapper from the neighborhood of Cresmont in Houston, TX. This was his debut album and was released in 1995 on Tray Duce Records. Production on this dope album was done by Mr. Optimo and Solo. The beats are deep fried with that southern twang mixed with some whiny synths and G-Funk samples. Lyrically Big 50 is solid and comes real strong on this one. Also the legendary DJ Screw lends his skills and blesses one of the tracks on here. This record is put together very nicely from intro to outro.